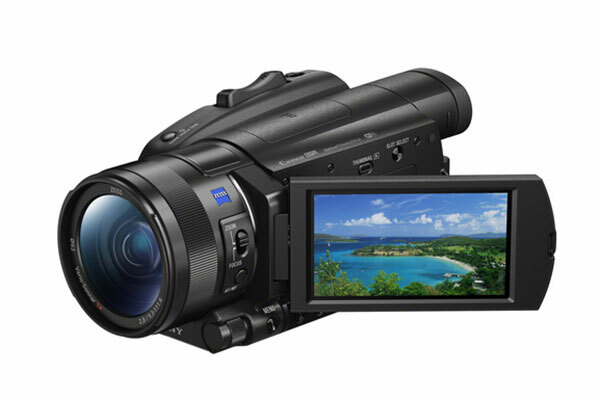 Sony Middle East and Africa (MEA) has expanded its line of video cameras with the launch of the new 4K HDR (high dynamic range) camcorders featuring a fast hybrid AF (autofocus) system in Bahrain. Combining a fast and reliable AF function adapted for shooting with a 1.0-type stacked Exmor RS CMOS image sensor, the Handycam FDR-AX700 delivers stunning image clarity alongside a range of versatile shooting features. The new camcorders support an instant HDR workflow, enabling users to produce breathtaking HDR content with minimum post-production to suit a range of content creation scenarios and applications. Relying on 273 phase-detection AF points, the Fast Hybrid AF system covers approximately 84 per cent of the shooting area with highly-accurate focusing and tracking. It also has a high-density placement of autofocus points and a newly developed AF algorithm that reduces the burden of highly accurate focusing required for shooting 4K films. Phase-detection AF frames make it easy to detect the focused area in order to monitor the subject that is in focus during movie recording mode. The new camcorder features a high-resolution OLED viewfinder (0.39-type OLED, 2,359k dots) and a 3.5-type large LCD screen (1,555k dots). Such features offer an advanced touch screen operation that allows users to quickly switch focus from one subject to another with adjustable AF drive speed, tracking depth range and subject switching sensitivity. The FDR-AX700 supports 4K HDR¹ recording with HLG (Hybrid Log-Gamma) offering an Instant HDR workflow that reduces any post-production work and produces high-quality HDR content. The Handycam FDR-AX700 features dual memory card slots allowing for proxy recording, relay recording and simultaneous backup recording functions and has remote terminals, Sony’s Multi-Interface Shoe™ and full-size HDMI Type A to ensure enhanced operability. It also adopts XAVC S, an extended format of XAVC for consumer use and it can record high-definition 4K films.